Refresh your skin with the proteolytic enzymes of green , un-ripened papaya which is a scientifically based method of gentle and effective exfoliation and skin resurfacing. Utilizing the resurfacing and antibacterial benefits of retinol and proteolytic enzymes, this treatment will address acne due to scarring. Targeting blackheads ,milia and pustules. Amplify your anti-aging results with this advanced treatment of the highest concentration of retinol and multiple advanced technologies for enhanced resurfacing and skin refining effects. This corrective facial will provide immediate visible skin re-texturization and refinement, greater smoothness and hydration, and will assist in helping to minimize the appearance of fine lines and wrinkles, acne, sun damage and facial discoloration. Lift tone and firm the skin with the potent combination of lipid-soluble vitamin C and DMAE to encourage collagen production , repair free radical damage, and enhance facial tone. Results are immediate with skin appearing smoother, brighter, more supple and firm, lifted and contoured. This facial incorporates exceptional topical anti-aging and skin regeneration technologies that will benefit any skin type. This intense and immediate targeted infusion enables the skin to absorb and retain far higher levels of skin regenerating activities at the same time that resurfacing takes place. This facial is an accelerated facial treatment that incorporates two effective topical exfoliants. The combination of glycolic acid and proteolytic enzymes safely intensifies the resurfacing action and provides measurable results for virtually any skin type. 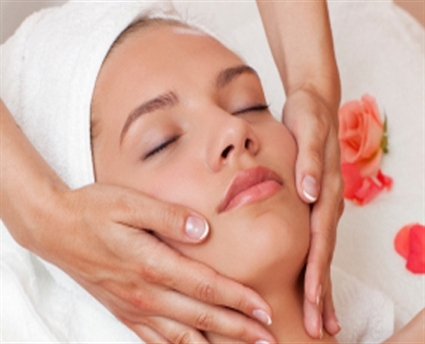 Treatment includes cleansing, exfoliation and extractions to leave the skin clean, smooth and refreshed. Get smooth, supple lips with this treatment that utilizes soluble Vitamin C, DMAE and Tyramine to boost collagen production and thicken the vermillion border of the lips to provide immediate visible results. Treatment to lighten the appearance of pigmentation, control acne, soften and smooth skin.